Plastic recycling is about reprocessing waste plastic into useful products. Plastics are everywhere. Why, you will find plastic bags floating in the middle of the oceans, plastic bottles in the streets. It's not that old really. In 1868 celluloid, the first plastic, was invented. That provided the first celluloid film and Hollywood would not be Hollywood without it. From there on different types of plastic were invented:: formaldehyde plastic; cellulose acetate; nylon; polyester; polypropylene , you name it. Without plastics our lives would look very different. And maybe our lives will look very different when the source of our plastics, oil, dries up, in the widely predicted event called Peak Oil. So, plastic recycling is not only important in keeping a close eye on where our plastics are, and recycle them, rather than pollute our environment with them. Not even only to save energy and greenhouse gas emissions in producing new plastic. But to use a finite resource as best as we can. Because plastic is so versatile, we have nothing like it. Viewing life as a cycle where resources have their limits is a recipe for a flourishing future. You may think that plastic recycling is a serious business with its own rules that you can rely on. But not necessarily so. Check out this list of myths for example http://www.ecologycenter.org/ptf/misconceptions.html. How plastic is recycled – or not! You might think it is harder to recycle glass or metal, but it's not. Plastics are more difficult because of greater processing needs. The various types of plastic cannot be all be put into one big melting pot and come out with something usable. Different types will not bind but just separate like oil does with water. Then there's biodegradable plastic. Yes, it is reabsorbed into the environment went left there. But when mixed in with durable plastics it naturally makes the new combination unstable. Would you want to buy polyester clothing that falls off you in a short time? Now, another complication is presented by dyes, additives and fillers in the plastics. They also interact in the recycled product. Another barrier to recycling is the widespread use of dyes, fillers, and other additives in plastics. Plastic bags generally have no such additives and so these are a greatly recyclable type of plastic. For all these reasons plastics are categorized and separated before recycling. There is a code by which they are graded, according to the polymer type of that plastic. So, to recycle plastic is no picnic! First, plastics are shredded and things like paper labels are eliminated. The plastic is then melted and made into pellets, colored according to their polymer type. These pellets are then made into other plastic products. There are a number of different processes used to recycle plastic. 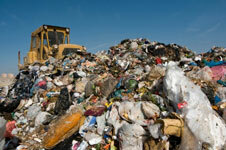 Monomer recycling overcomes many of the problems caused in mixing different types of plastics. To cut a long story short, this process allows new polymers of the same type to be built from the old plastic. Thermal depolymerization can recycle a mix of plastics into petroleum or oil. Whence it came! Heat compression essentially takes all, unsorted plastics and mixes it in large tumblers. So what products are made from recycled plastic? Does plastics recycling have a future? Since 1990 used plastic recycling has grown strongly every year. As oil products will get more expensive in this hugely expensive fuel industry recycling is a must. Plastics will become a must-have "green" product!